2. Invites Governments, agencies and organizations of the United Nations system, and intergovernmental and non-governmental organizations to intensify their efforts to disseminate the Declaration and to promote universal respect and understanding thereof, and requests the Secretary-General to include the text of the Declaration in the next edition of Human Rights: A Compilation of International Instruments. 1. Everyone has the right to know, seek and receive information about all human rights and fundamental freedoms and should have access to human rights education and training. 2. Human rights education and training is essential for the promotion of universal respect for and observance of all human rights and fundamental freedoms for all, in accordance with the principles of the universality, indivisibility and interdependence of human rights. 3. The effective enjoyment of all human rights, in particular the right to education and access to information, enables access to human rights education and training. 1. Human rights education and training comprises all educational, training, information, awareness-raising and learning activities aimed at promoting universal respect for and observance of all human rights and fundamental freedoms and thus contributing, inter alia, to the prevention of human rights violations and abuses by providing persons with knowledge, skills and understanding and developing their attitudes and behaviours, to empower them to contribute to the building and promotion of a universal culture of human rights. (c) Education for human rights, which includes empo wering persons to enjoy and exercise their rights and to respect and uphold the rights of others. 1. Human rights education and training is a lifelong process that concerns all ages. 2. Human rights education and training concerns all parts of society, at all levels, including preschool, primary, secondary and higher education, taking into account academic freedom where applicable, and all forms of education, training and learning, whether in a public or private, formal, informal or non-formal setting. It includes, inter alia, vocational training, particularly the training of trainers, teachers and State officials, continuing education, popular education, and public information and awareness activities. 3. Human rights education and training should use languages and methods suited to target groups, taking into account their specific needs and conditions. (e) Contributing to the prevention of human rights violations and abuses and to the combating and eradication of all forms of discrimination, racism, stereotyping and incitement to hatred, and the harmful attitudes and prejudices that underlie them. 1. Human rights education and training, whether provided by public or private actors, should be based on the principles of equality, particularly between girls and boys and between women and men, human dignity, inclusion and non-discrimination. 2. Human rights education and training should be accessible and available to all persons and should take into account the particular challenges and barriers faced by, and the needs and expectations of, persons in vulnerable and disadvantaged situations and groups, including persons with disabilities, in order to promote empowerment and human development and to contribute to the elimination of the causes of exclusion or marginalization, as well as enable everyone to exercise all their rights. 3. Human rights education and training should embrace and enrich, as well as draw inspiration from, the diversity of civilizations, religions, cultures and traditions of different countries, as it is reflected in the universality of human rights. 4. Human rights education and training should take into account different economic, social and cultural circumstances, while promoting local initiatives in order to encourage ownership of the common goal of the fulfilment of all human rights for all. 1. Human rights education and training should capitalize on and make use of new information and communication technologies, as well as the media, to promote all human rights and fundamental freedoms. 2. The arts should be encouraged as a means of training and raising awareness in the field of human rights. 1. States, and where applicable relevant governmental authorities, have the primary responsibility to promote and ensure human rights education and training, developed and implemented in a spirit of participation, inclusion and responsibility. 2. States should create a safe and enabling environment for the engagement of civil society, the private sector and other relevant stakeholders in human rights education and training, in which the human rights and fundamental freedoms of all, including of those engaged in the process, are fully protected. 3. States should take steps, individually and through international assistance and cooperation, to ensure, to the maximum of their available resources, the progressive implementation of human rights education and training by appropriate means, including the adoption of legislative and administrative measures and policies. 4. States, and where applicable relevant governmental authorities, should ensure adequate training in human rights and, where appropriate, international humanitarian law and international criminal law, of State officials, civil servants, judges, law enforcement officials and military personnel, as well as promote adequate training in human rights for teachers, trainers and other educators and private personnel acting on behalf of the State. l. States should develop, or promote the development of, at the appropriate level, strategies and policies and, where appropriate, action plans and programmes to implement human rights education and training, such as through its integration into school and training curricula. In so doing, they should take into account the World Programme for Human Rights Education and specific national and local needs and priorities. 2. The conception, implementation and evaluation of and follow-up to such strategies, action plans, policies and programmes should involve all relevant stakeholders, including the private sector, civil society and national human rights institutions, by promoting, where appropriate, multi-stakeholder initiatives. States should promote the establishment, development and strengthening of effective and independent national human rights institutions, in compliance with the principles relating to the status of national institutions for the promotion and protection of human rights (“the Paris Principles”),6 recognizing that national human rights institutions can play an important role, including, where necessary, a coordinating role, in promoting human rights education and training by, inter alia, raising awareness and mobilizing relevant public and private actors. 1. Various actors within society, including, inter alia, educational institutions, the media, families, local communities, civil society institutions, including non-governmental organizations, human rights defenders and the private sector, have an important role to play in promoting and providing human rights education and training. 2. Civil society institutions, the private sector and other relevant stakeholders are encouraged to ensure adequate human rights education and training for their staff and personnel. The United Nations and international and regional organizations should provide human rights education and training for their civilian personnel and for military and police personnel serving under their mandates. 1. International cooperation at all levels should support and reinforce national efforts, including, where applicable, at the local level, to implement human rights education and training. 2. Complementary and coordinated efforts at the international, regional, national and local levels can contribute to more effective implementation of human rights education and training. 3. Voluntary funding for projects and initiatives in the field of human rights education and training should be encouraged. 1. International and regional human rights mechanisms should, within their respective mandates, take into account human rights education and training in their work. 2. 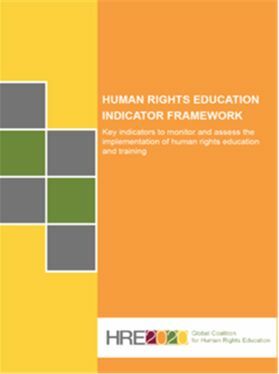 States are encouraged to include, where appropriate, information on the measures that they have adopted in the field of human rights education and training in their reports to relevant human rights mechanisms. States should take appropriate measures to ensure the effective implementation of and follow-up to the present Declaration and make the necessary resources available in this regard. 1 See Official Records of the General Assembly, Sixty-sixth Session, Supplement No. 53 (A/66/53), chap. I. 4 See A/CONF.157/24 (Part I), chap. III, sect. II.D, paras. 79 and 80. 5 See resolution 60/1, para. 131.